This product has been hailed around the blogosphere as a sort of holy grail of concealers. What is it? 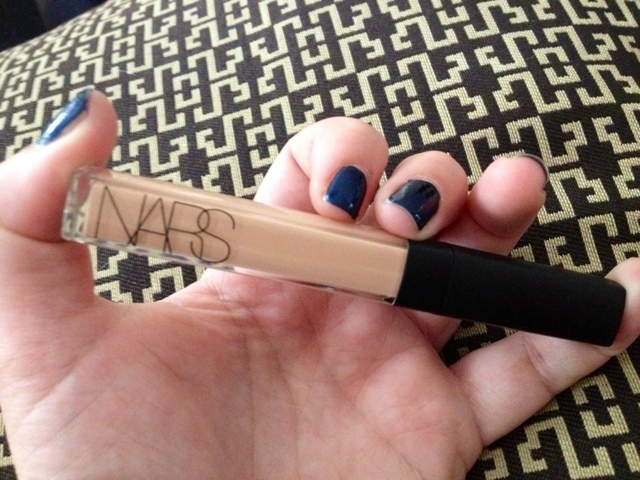 NARS Radiant Creamy Concealer ($28). So, does it live up to the hype? I've been using it for about a week now, and I have to say, the texture is reeeeeeally interesting (in a good way). Not quite liquid, not quite cream, it's really easy to blend and get a natural finish. I get pretty solid coverage with one layer, and you can build it, although it takes a good deal of finesse so as not to disturb previous layers. I've been wearing it under my eyes without setting powder on no foundation days, and it definitely hits between 7-8 hours before a touchup is needed. Impressive? Oui. It's available in 10 shades, so there should be a fairly good match for just about anyone. It definitely covers my circles and brightens up my under eye area without being heavy or creasing. I hate to admit it, but for $28, this one-step wonder may be replacing Bobbi Brown's corrector and concealer for my camouflaging needs. I feel like a traitor. Have any of you given this concealer a go? Does Anyone Know Someone Named Cassie? Full Steam Ahead or All Washed Out?